The true power of science is that it perpetually refines our understanding based new evidence. A key part of a scientist’s job is to question everything – including the things we think we know. Through the ages, many ideas considered “facts” have been revealed as common misconceptions. To name a few: the Earth is flat (nope), your tongue has taste “zones” (that map of the tongue you remember from elementary school is wrong), and lightning can’t strike the same place twice (a small area in Venezuela gets roughly 1.2 million strikes each year). Indeed, one of the most common scientific misconceptions is that science is full of facts. Rather, science is a field in which the best current models of understanding can either be supported or disproved by evidence. Here, we debunk a few of the more common scientific misconceptions. The Event Horizon Telescope Initiative at Perimeter Institute, led by Faculty member Avery Broderick, will analyze and interpret the torrent of data collected by the network’s telescopes, generating humanity’s first image of a black hole and testing fundamental concepts in our understanding of spacetime. Watch Perimeter’s curious cartoon duo, Alice and Bob, explore why the moon doesn’t fall down. Why doesn’t the moon fall down? Join Alice & Bob in nine fun-filled, animated adventures as they wonder about the world around us. Alice and Bob in Wonderland premiered at Perimeter Institute’s Quantum to Cosmos Festival. http://www.q2cfestival.com. 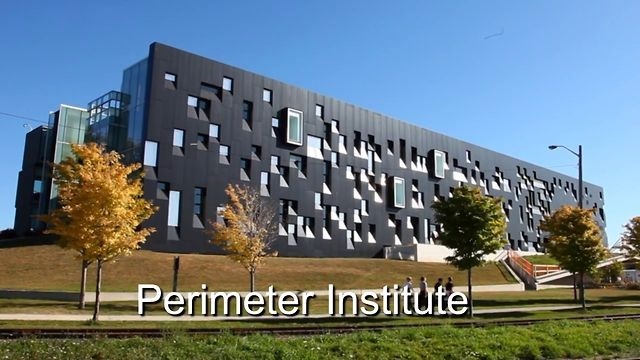 Watch “As We Enter a New Quantum Era,” a public lecture on the incredible advances (and potential pitfalls) of the quantum computing revolution, delivered by Perimeter Institute Associate Faculty member Michele Mosca. Watch Alice and Bob explore where energy comes from. The past few years have been incredible for physics discoveries. Scientists spotted the Higgs boson, a particle they’d been hunting for almost 50 years, in 2012, and gravitational waves, which were theorized 100 years ago, in 2016. This year, they’re slated to take a picture of a black hole. So, thought some theorists, why not combine all of the craziest physics ideas into one, a physics turducken? What if we, say, try to spot the dark matter radiating off of black holes through their gravitational waves? It’s really not that strange of an idea. Now that scientists have detected gravitational waves, ripples in spacetime spawned by the most violent physical events, they want to use their discovery to make real physics observations. They think they have a way to spot all-new particles that might make up dark matter, an unknown substance that accounts for over 80 percent of all of the gravity in the universe. Black holes are the universe’s sinkholes, so strong that light can’t escape their pull once it’s entered. They’ve got such powerful gravitational fields that they produce gravitational waves when they collide with each other. Dark matter might not be made from particles (specks of mass and energy), but if it was, we might observe it as axions, particles around one quintillion (a billion billion) times lighter than an electron, hanging around black holes. Now that you understand all the terms, here’s how the theory works. Baryakhtar and her teammates think that black holes are more than just bear traps for light, but nuclei at the center of a sort of gravitational atom. The axions would be the electrons, so to speak. If you already know about black holes, you know they have incredibly hot, high-energy discs of gas orbiting them, produced by the friction between particles accelerated by the black hole’s gravity. This theory ignores that stuff, since axions wouldn’t interact via friction. Keeping with the atom analogy, the axions can jump around the black hole, gaining and losing energy the same way that electrons do. But electrons interact via electromagnetism, so they let out electromagnetic waves, or light waves. Axions interact via gravity, so they let out gravitational waves. But like I said earlier, axions are tiny. Unlike a tiny atom, the black hole in these “gravity atoms” rotates, supercharging the space around it and coaxing it into producing more axions. Despite the axion’s tiny mass, this so-called superradiance process could generate 10^80 axions, the same number of atoms in the entire universe, around a single black hole. Are you still with me? Crazy spinning blob makes lots of crazy stuff. Craziest of all, we should be able to hear a gravitational wave hum from these axions moving around and releasing gravitational waves in our detectors, similar to the way you see spectral lines coming off of electrons in atoms in chemistry class. “You’d see this at a particular frequency which would be roughly twice the axion mass,” said Baryakhtar. There are giant gravitational wave detectors scattered around the world; presently there’s one called LIGO (Laser Interferometer Gravitational Wave Observatory) in Washington State, another LIGO in Louisiana, and one called Virgo in Italy that are sensitive enough to detect gravitational waves, and with upgrades, to detect axions and prove their theory right. Scientists would essentially need to record data, play it back, and tune their analysis like a radio to pick up the signal at just the right frequency. There are other ways the team thinks it could spot this superradiance effect, by measuring the spins in sets of colliding black holes. If black holes really do produce axions, scientists would see very few quickly-spinning black holes in collisions, since the superradiance effects would slow down some of the colliding black holes and create a visible effect in the data, according to the research published this month in the journal Physical Review D. The black hole spins would have a specific pattern which we should be able to spot in the gravitational wave detector data. When would we spot these kinds of events? As of now, the LIGO and Virgo gravitational wave detectors probably aren’t ready. “With the current sensitivity we’re on the edge” of detecting axions, said Baryakhtar. “But LIGO will continue improving their instruments and at design sensitivity we might be able to see as many as 1000s of these axion signals coming in,” she said. Thousands of hums from these black hole-atoms. So, if you’ve gotten all the way to this point of the story and still don’t understand what’s going on, a recap: We’ve got these gravitational wave detectors that cost hundreds of millions of dollars each, that are good at spotting really crazy things going on in the universe. Theorists have come up with an interesting way to use them to solve one of the most important interstellar mysteries: What the heck is dark matter? As with most new ideas in theoretical physics, this is something cool to think about and isn’t ready for the big time… yet. It can be unsettling to realize that only five percent of the universe is made of the kind of matter we know and understand—everything from the planets and stars, to trees and animals and your dining room table. Confirming dark matter’s existence would change humankind’s perspective on the universe. 2016 was a year of dark matter disappointments, as big searches came up empty. Most are looking for WIMPs—weakly interacting massive particles, the leading contender for a dark matter particle. 2017 might just be the year we finally catch one. And if we don’t, well, it may be that our best theories about dark matter are wrong—that we’re looking in the wrong places, with the wrong instruments. Maybe dark matter, whatever it is, will turn out to be even weirder and more surprising than anyone has so far predicted. Maybe it’s not a WIMP, but some other bizarre kind of particle. Then there’s the outside possibility that dark matter doesn’t exist, that it’s an illusion. If that’s the case, we’ll have to consider whether we’ve been fundamentally misreading the universe’s clues. Buried deep in a mine near Sudbury in northern Ontario is SNOLAB, a vast underground laboratory where scientists are performing a range of experiments, including looking for dark matter. Often compared to the lair of a Bond villain, it’s an ultra-clean, high-tech facility. Two kilometers of solid rock overhead shield its detectors from cosmic radiation, allowing them to sift for bits of matter from dying stars and the Sun: science done here won the Nobel Prize in Physics, in 2015. I recently travelled to SNOLAB. To get there, I had to don full mining gear (including a hardhat and headlamp), drop down underground in a rattling dark cage, and hike a kilometre or so to reach the gleaming white facility, which is cleaner inside than an operating room—a startling contrast to the dirty nickel mine that surrounds it. After the long hike through the mine, anyone who wants to enter SNOLAB has to undress, shower (with soap and shampoo), and put on lint-free clothing and a hairnet. Any bit of dust from the mine, which is naturally radioactive, can mess up the experiments. There, I met research scientist Ken Clark, a congenial physicist with a sandy-coloured beard. Like me, he was wearing safety goggles and a hardhat. Clark has worked on high-profile dark matter searches like CDMS and LUX, and collaborates on the IceCube detector at the South Pole in Antarctica. Now he’s with PICO, a dark matter search that targets the WIMP particle. It was launched in 2013 when two other collaborations, called PICASSO and COUPP, merged. PICO is a bubble detector: a tank of superheated fluid kept higher than its natural boiling point. If dark matter bumps into the nucleus of another particle in the detector, it should cause a tiny bubble to form. Dark matter courses through the Earth and right through our bodies, so it will reach the detector underground, even through all that rock overhead. But that’s also part of the challenge—dark matter is thought to only rarely interact with normal matter, if at all, so it’s really tricky to catch. 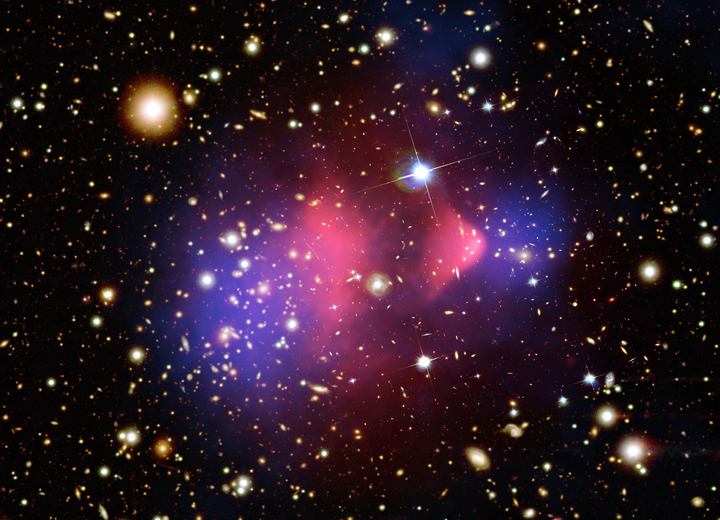 Clark believes we might just find dark matter in the next year or two. “It’s exciting times,” he said. Other searches are due to turn on soon, he explained, and those that are already up-and-working are getting increasingly sensitive. In 2017, Clark said it’s possible we’ll see new results from PICO, DEAP (a different detector, also at SNOLAB), as well as China’s ambitious PandaX project, and another in Italy called XENON1T. Even more searches will turn on in 2018. “Provided the models are correct, we should see something soon,” Clark told me. Still, there’s no guarantee, and WIMP searches keep turning up empty-handed. For example, in the summer, the highly sensitive LUX—which uses liquid xenon in a South Dakota mine as its detector—announced it had seen zero WIMPs, after looking for more than a year. I phoned Lisa Randall, a prominent theoretical physicist and professor at Harvard University, to ask whether she thinks there’s a chance we’ll find dark matter in the next year or two. “I would say kind of the opposite,” said Randall, author of Dark Matter and the Dinosaurs. While she agrees that if dark matter is indeed a WIMP, these searches could find it soon, “that’s just one possibility,” she said. The WIMP is “lowest-hanging fruit,” Randall continued: this theoretical particle fits snugly within what’s already known about the Standard Model of physics, which explains how the building blocks of the universe interact. And scientists can imagine ways to actually look for WIMPs, unlike some of the more far-out theories, which are much harder to test in experiments. Other scientists have different strategies for solving the dark matter puzzle. Leslie Rosenberg, a professor of physics at the University of Washington in Seattle, is project scientist on the Axion Dark Matter Experiment, or ADMX, which is looking for a theoretical particle called the axion, which is thought to be much lighter than a WIMP. It’s being targeted by other searches under development around the world, Rosenberg told me. ADMX, though, is “the only high-sensitivity axion search now,” he said. Maybe we’re being fooled into thinking that dark matter is there. 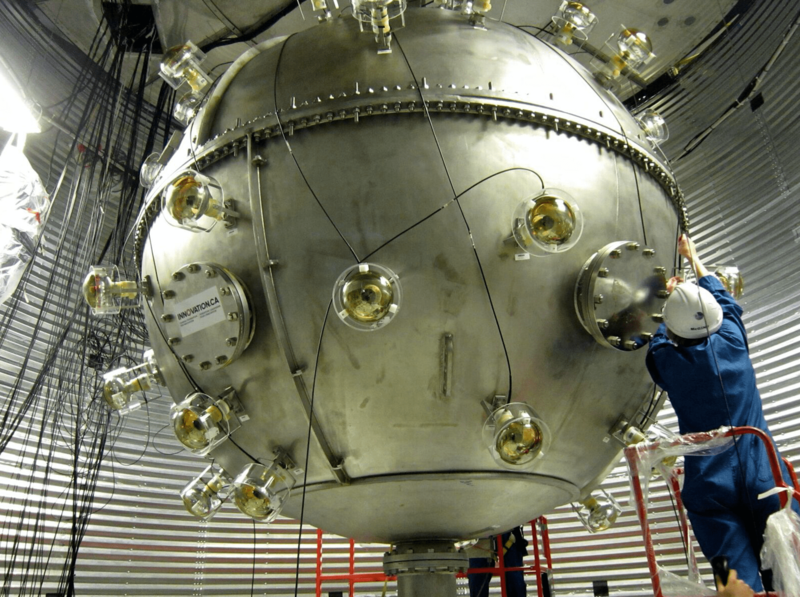 ADMX, which uses a resonant microwave cavity nested inside a huge superconducting magnet, started out of a collaboration that began in the mid-nineties. It’s been at full sensitivity for about a year now, Rosenberg told me, and will only get better as the team continues to tweak it. He’s hoping they turn up something soon: their next update should come in the summer of 2017. Axions are a mainstream dark matter candidate. Other ideas get weirder. Randall thinks that one of the best ways to learn about dark matter may be to study the structure of galaxies, and watching the universe at work, to understand how it interacts with itself. 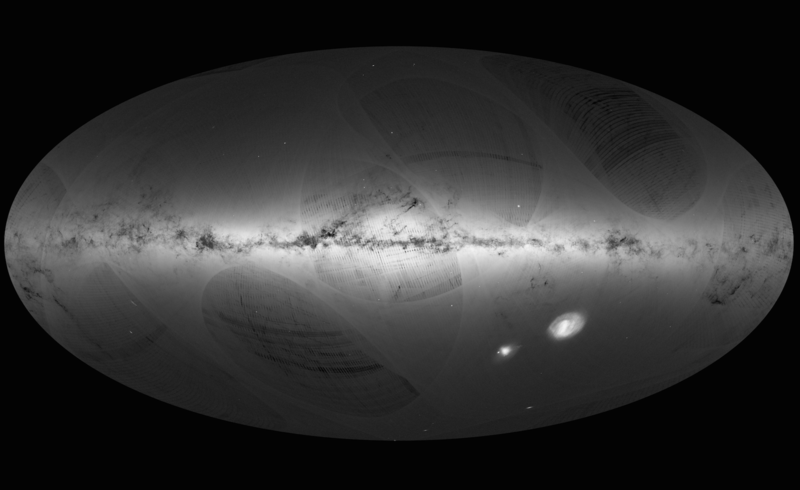 The European Space Agency’s Gaia mission, which is making a three-dimensional map of over a thousand million stars, could give insight into some of this, Randall said. Asimina Arvanitaki, a theoretical physicist at the Perimeter Institute for Theoretical Physics, suggested to me in a Skype call that dark matter might be detectable through resonant-mass detectors, which are used to hunt for gravitational waves. These ripples in spacetime were detected for the first time in 2016, a hundred years after Albert Einstein predicted their existence. Dark matter could also be behaving like a wave, “trapped by gravity and oscillat[ing] at a frequency set by the mass,” she said. Over millions of years, humans have come up with ingenious ways to probe the world around us, from Copernicus and Kepler, through the thousands of scientists involved in the search for the Higgs boson particle at the Large Hadron Collider, and those who are now shaking out the endless diversity of exoplanets that populate our galaxy. Because of them, our perspective has changed. When we look up at the night sky today, we understand that just about every star we see hosts at least one planet. The first confirmed exoplanet was announced just over two decades ago. Nature can still surprise us. The Bullet cluster, formed by the collision of two large galaxy clusters, provides some of the best evidence yet for dark matter. Image: X-ray: NASA/CXC/CfA/M.Markevitch et al. ; Optical: NASA/STScI; Magellan/U.Arizona/D.Clowe et al. ; Lensing Map: NASA/STScI; ESO WFI; Magellan/U.Arizona/D.Clowe et al. Clark and the other dark matter hunters continue their search. If it’s real, “we’re not even made of what most of the universe is made of,” Rosenberg told me. In the grand scheme of things, then, it isn’t dark matter that’s really so exotic and strange—it’s us. About two-thirds of the lithium that should be in the early universe is missing. Perimeter researcher Maxim Pospelov thinks a hypothetical new particle – particle X – may have kept it from being formed. There’s nothing like a good anomaly. In science, anomalies – places where theory contradicts observation – drive progress. Cosmology, sadly, suffers from a lack of anomalies. Where it makes predictions at all, the standard cosmology tends to be spot on. But there’s an exception: there is not enough lithium-7 in the early universe. So what exactly is the lithium problem? Using a model called big bang nucleosynthesis, we can calculate the relative amounts of light elements that were produced in the early universe. We can also observe how much of each element was present in the earliest stars. For the most part, the theory and the prediction line up. The model calls for three parts hydrogen to every one part helium, with a dash of deuterium (about 0.01 percent) and even smaller quantities of the two isotopes of lithium, lithium-6 and lithium-7. Observations check these ratios and find the predictions to be very accurate. But there is one outlier: lithium-7. That prediction is off by a factor of three. About two-thirds of the lithium-7 predicted by the big bang nucleosynthesis model is missing. Is the model of big bang nucleosynthesis simply wrong? That seems unlikely, because its other predictions are so good. Might the lithium be present but somehow hidden? The best efforts to find it have yet to pan out. Might something have happened to the lithium-7 along the way? That’s the line along which Pospelov has been working. Pospelov’s research often lies at the intersection of particle physics and cosmology. 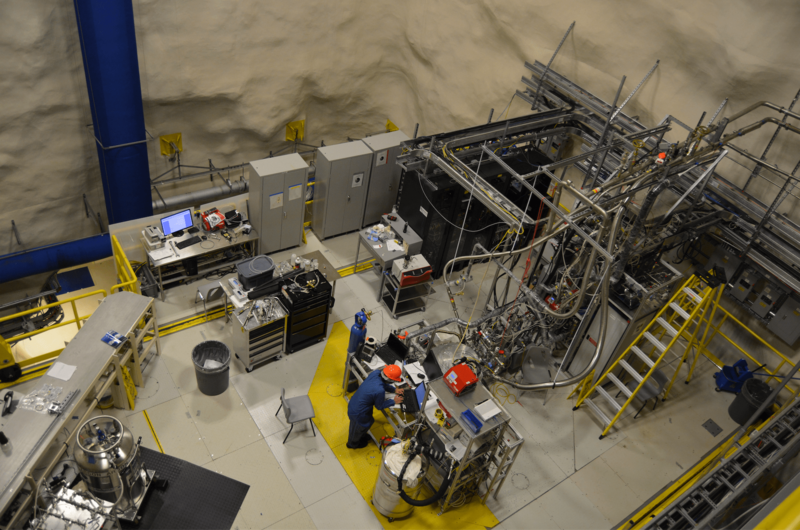 Working with Josef Pradler – a former Perimeter postdoctoral researcher and long-time collaborator – and Andreas Goudelis of the Institute of High Energy Physics in Austria, Pospelov set out to see if there might be a particle physics solution to the lithium-7 problem. As described in the paper A light particle solution to the cosmic lithium problem, published in Physical Review Letters, the team reverse-engineered a hypothetical particle that could destroy lithium without affecting the relative abundance of hydrogen, helium, and deuterium. They called it particle X. In this case, something interesting did emerge: a hypothetical particle that could resolve the lithium anomaly. Though any new particle would obviously be outside the Standard Model of known particle physics, there are ones that look reasonable and ones that look out-of-whack. Particle X looks reasonable. Indeed, it looks reasonable enough that the next step in the research is to plan experiments to check for its existence. Many previous attempts to tackle the lithium abundance problem with ideas from particle physics have posited a hypothetical heavy particle whose decay produces neutrons. Add neutrons to the mix at the 1,000-second mark, and lithium formation is suppressed. But that’s not the only thing those neutrons would do. They would also increase the abundance of deuterium – and that’s not a good thing. The problem with increasing the predicted abundance of deuterium in the universe is that we recently learned to measure the real abundance of deuterium in the early universe. “These measurements became as good as a few percent in the last years, and they are bang-on the predictions of big bang nucleosynthesis,” says Pospelov. “Therefore this idea of new particles that produce neutrons doesn’t work. When we learned to measure deuterium abundance, a hundred models died in a moment. The next assumption the team made was the mass of particle X: about 10 MeV. That’s about 20 times heavier than an electron, and about 100 times lighter than a proton. Unlike previous hypothetical particles, it is too light to decay into neutrons. Instead, the team envisions particle X producing neutrons by breaking apart the deuterium, whose nucleus contains one proton and one neutron. “The particle would hit that nucleus and knock the neutron free,” says Pospelov. 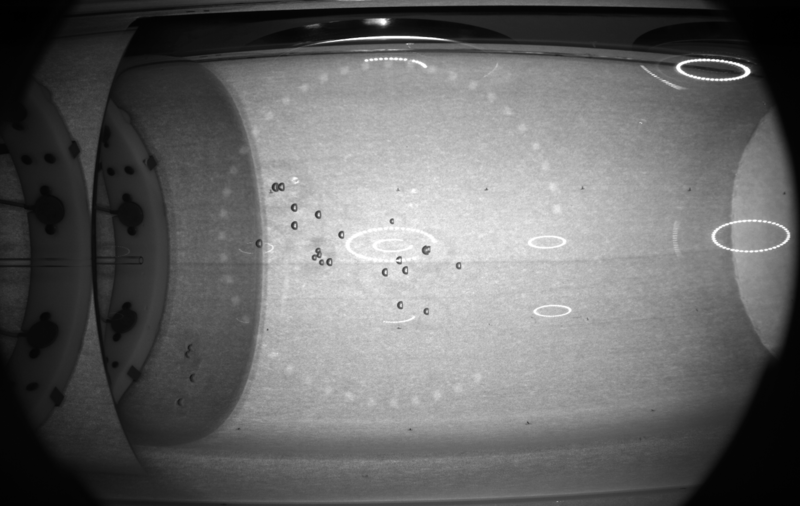 These knocked-free neutrons would enter the soup of the big bang nucleosynthesis, suppressing the formation of lithium. But those neutrons would be quickly swept back up to form deuterium again. As the soup cooled, the ultimate abundance of the deuterium would be unchanged. The team calls the process neutron recycling, and it seems to solve the lithium abundance problem without introducing changes to the otherwise successful model of big bang nucleosynthesis. It would be great, lithium-wise, if particle X did exist, but at the moment the idea is still speculative (in the good sense). The team’s next step would be to seek independent lines of evidence for particle X, starting with searches at earthbound particle physics experiments. The good news is that the team’s theory is well developed and sophisticated enough to predict experimental signatures. And, at only 10 MeV, particle X should be well within the energy range we can study at particle accelerators. However, it interacts – or “couples,” to use the particle physics language – only weakly, which makes it hard to spot. They might start testing, Pospelov suggests, with the sort of experiments that go by the unpoetic name of beam-dumps. In these experiments, a beam of energetic particles is driven into a thick piece of shielding: the dump. Only fairly long-lived particles can come out the other side. The 1,000-second lifetime for particle X may seem short on the scale of the universe, but on the scale of particle physics, where most exotic particles last for blinks, 1,000 seconds is long enough to qualify as stable or meta-stable. Also on the to-do list: building a complete field-theoretical model that would include particle X without making a mess of the Standard Model. And perhaps, someday, a name for the mysterious particle X. A supermassive black hole churns at the heart of the Milky Way galaxy. To see it clearly, we need a telescope the size of the Earth. But building that is impossible. So scientists have flipped the problem, and turned the Earth into a telescope. The Event Horizon Telescope (EHT) is a global array of interconnected radio telescopes that is expected to soon provide humanity’s first glimpse of a black hole. And that’s just one of the many amazing things about it. Here are some fascinating facts about the world’s most remarkable telescope.